Celebrating over 30 years in the telecom industry, Americom does much more than just install phones. For decades Americom has served clients in a consultative capacity, helping clients find the perfect combination of services, all things considered, for the best overall voice and internet solution. Our decades of constant interaction with over 200 voice and data service providers gives Americom the inside scoop on the good, bad and ugly. Our advice is complete, thorough and unbiased and 30 years strong. Americom works for you, exclusively! Think of us as your ‘mole on the inside’. I wanted to express my appreciation for the recent work you performed at our new office. I was apprehensive about moving an office of our size, but you quickly put my concerns to rest. Although our relationship is new, I am certain it will be long lasting. As a nationwide call center, phones and data are our livelihood. Your professionalism and reliability made our move easier and the transition to our new location seamless. The technicians you sent to our worksite were always friendly, professional and maintained a clean work area. I know the rewiring at our new location was a challenge and you met that challenge and exceeded our expectations. Again, thank you for the work you performed and we look forward to working with you again. Americomm Systems has been providing our firm with installation and maintenance services for approximately the past 13 years. 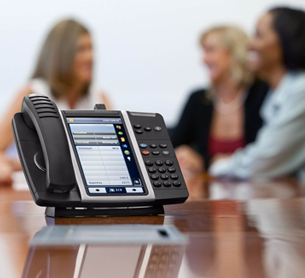 When we originally purchased our telephone and voice mail system (Nortel network PBX and Auto Attendant/Voicemail), it was installed and maintained by a major Nortel dealer. However, that company was not meeting our needs in many respects. Specifically, when a problem with our system occurred, our calls to that company were either not returned, or when they were it was only to assign a ticket number, which prompted an eventual response from a technical support person. Furthermore, the other company offered no “help desk” support to assist with system features, and we were left to find answers in the manuals. As one of the largest litigation firms in the San Fernando Valley, we are deeply dependent upon our phone systems for everything from conference calls to voice mail messages. Although our phone system has been largely reliable, there have been a few occasions where a major problem has occurred. Each time, Americomm has been responsive and dependable. Additionally, Americomm has performed significant system upgrades for our firm from time to time. Finally, when those occasional issues have arisen on how to use a particular feature of the system, the answer was usually just a phone call away. In sum, our firm is very pleased with the level of service provided by Americomm, both in responsiveness and technical expertise, and therefore highly recommends Americomm for the installation and maintenance of such systems. Should you have any questions regarding the foregoing, please feel free to call me. Greg has been providing us with excellent service for over 18 years. Americomm is responsible for all of our installation as well as servicing, updating and acquiring equipment for our Norstar phone system. Our systems involve over 80 individuals in 5 offices throughout the state. During the last 18 years of service rendered by Americomm, Greg and associates have always been prepared to answer any questions that may come up and provide quick and efficient solutions to problematic symptoms. Overall, we are very pleased with our Norstar phone systems from Americomm Systems installed and serviced by Greg Gonzales; Americomm has proved to be a competent and delightful company with which to do business. I believe that you would be thoroughly satisfied with this company as your business phone provider. Total Technology, Inc. is in the business of creating and implementing complex computer and Internet systems for our clientele, many name national corporations and celebrities. Americomm Systems has been our primary telephone and cabling contractor since 1995. We enjoy a fine working relationship because once we call Greg and his team, we no longer need to concern ourselves with those details. Americomm is a detail-oriented company and their work shows it. They have done hundreds and hundreds of cable jobs for us and all are tested, certified, neat and clean. Americomm provides all this in a professional manner. Of all the times we have sub-contracted work to Americomm Systems, they have never let us down. Be it a three cable job or a 50 workstation set up, Americomm proves to be equal to the task. Great customer service, always responsive, highly recommended. Please feel free to call me if you have any questions. Breger Management Group has been a client of Americomm since the mid 90’s. The level of service we get from Americomm Systems is 2nd to none. From a simple over the phone question, to the purchasing of our Nortel phone system and voicemail to moving/cabling of our entire office twice, Americomm Systems has been there. Of the many considerations/headaches that come along with moving our offices, Americomm sees to it that our phones and computer networking are of no concern in an otherwise stressful time. In addition, we happen to be at the 20700 block of Ventura Boulevard in Woodland Hills where a lot of power outages occur. Americomm Systems somehow has the ability to respond almost at a moments notice in a crisis situation. (The real test of a service company). Over and over Americomm has risen to the occasion. We will continue to use Americomm Systems and refer them out as often as possible to our clients. 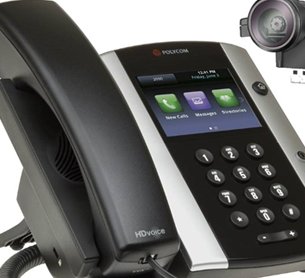 Americomm Systems has been our vendor for phone and cable since 1996 at our Woodland Hills location. Upon our move to our Thousand Oaks location, Americomm cabled our entire 50-workstation facility with Category 3 and Category 5 data cables. Every station was up and running when we opened that first Monday morning, and to this day we have yet to experience any trouble with any phones, faxes modems or data circuits that Americomm installed. We wouldn’t trust any other company but Americomm to take charge of something as important as our voice-data networks. Please feel free to contact our company, should you have any questions or concerns. CURRIE TECHNOLOGIES, INC. depends entirely on our Nortel Phone, Voicemail, and Call Centers working efficiently and effectively 24/7. We run a customer service call center to support our product sales to consumers shopping at such retailers as Toys R’ Us, Wal-Mart, Target, and others. We receive 20,000 to 30,000 calls a day, so even the shortest amount of downtime is a major loss. 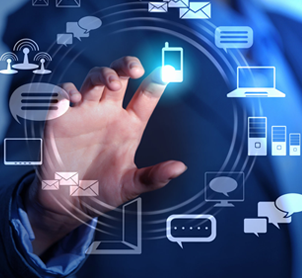 We can fully and with confidence, recommend Americomm Systems, Inc. to meet any company’s needs and challenges in telecommunications. Their service is responsive, their pricing is competitive, and when they show up they get the job done. If you are looking to make a telecom decision, you will be making a good one by choosing Americomm. I know we did. I have worked with and recommended Greg and his team on many projects in the last 17 years. He is reliable and knowledgeable in the work he performs. I work in mostly commercial buildings and a high degree of professionalism is demanded. He meets the challenges with flying colors. Their character and integrity go beyond the work place; they are a part of who they are. I highly recommend him for any Telecom or Datacom installation you require.